It's time to increase your productivity. Find & edit images from within your WordPress site with FotoPress. Valid for a single site and can be use for personal use only. Valid for 25 sites and can be use for personal use only. Valid for 100 sites and can be used for personal use and for clients too. 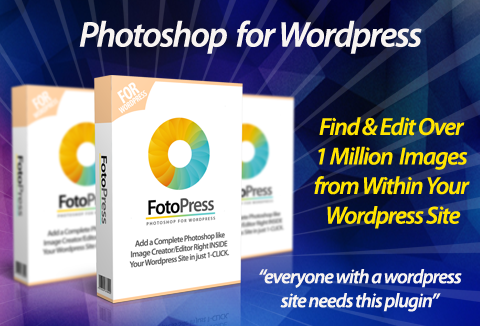 Grab this powerful image editor WordPress plugin TODAY!